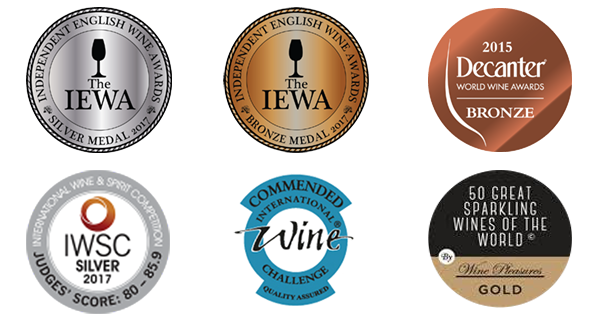 Each vintage allows us to learn and improve, so much so that we now enter international competitions in order to measure ourselves against the very best. We are very proud of what we have achieved in so little time, but we’re also continually aiming to refine and exceed expectations. To discover our wines, please go to our Online Shop or visit one of our local stockists. Production will increase through summer 2018 and beyond, and, should you have a local shop or restaurant, we will be delighted to discuss trade arrangements - please call Lucinda on 01428 656003 for further details. Our team at Blackdown Ridge includes owner Professor Martin Cook, who oversees everything both in the vineyards and during the winemaking process. He has been the driving force behind the development of the vineyard and the building of our own Winery, which was completed in time for the 2014 harvest. Lucinda Colucci joined the company in 2016 as Business Development Manager never having worked in the wine industry before. She had previously worked for the Professor Martin Cook within the NHS for 8 years. Lucinda loves new challenges and so therefore couldn't resist opportunity - NHS or vineyard? She hasn't regretted it for a moment ever since. Find out more or purchase our award-winning wines in our shop. Marius has worked at Blackdown Ridge Estate for ten years, before the idea of a vineyard was begun. He was bought up by his Grandfather who had vineyards in Romania and so viticulture is in his blood. Marius looks after the estate with a passion, if you come to visit you will see how impeccable everything is.